We hope we’ve answered your question below, but if you have any further enquiries please email us at eynesbury@navitas.com and we’ll get back to you right away. Eynesbury is a specialist, pre-university college, offering Senior High School, Foundation, Diploma and English programs. We offer the most comprehensive range of pathway programs in South Australia, which provide maximum flexibility to assist students to gain entry to their chosen degree program. As a leading pathway provider for almost 30 years, we have successfully prepared thousands of students for university in Australia. Our specialist approach combines small class sizes, experienced teachers and close academic guidance to support students in academic preparation for university. Students at Eynesbury love our outstanding student support services, including the Eynesbury Mentor Program, and tell us they quickly feel settled and supported here. In the iGraduate international student survey, our students reported that 91% were satisfied with their learning at Eynesbury, and 95% satisfied with the level of support they received at Eynesbury. What programs does Eynesbury offer? The Eynesbury Coglin Street and Franklin Street campuses, are located in the heart of the city and within walking distance to the University of South Australia or the University of Adelaide. The campuses offer wireless technology throughout, kitchen facilities, quiet study areas, student computers and break-out areas for studying or relaxing. What are the Eynesbury campuses like? Eynesbury has two campuses, both located in the centre of Adelaide city, near the Chinatown and Central Market precinct.  It’s a short walk, or a free tram ride, to both The University of Adelaide and University of South Australia. Our modern, purpose built Coglin Street campus is home to our English language, Diploma and Foundation Studies programs, while our Franklin Street campus is for our Senior High School. What student support does Eynesbury offer? Eynesbury students are expected to be independent learners, but also enjoy significant academic support. Eynesbury High School students are consistently placed in the top 1% of students in South Australia, with more than 99% of them being offered a place at a university of their choice. This same level of academic support prepares our Foundation Studies students for direct entry into their program at The University of Adelaide, or University of South Australia, or any other university in Australia. Diploma students will experience the same small class sizes, with teachers who are specialists in their field. Upon completion, Diploma students will be fast tracked into the second year at university. Students can expect classroom teaching for approximately four hours per course per week. This is usually taught as one 2 hour lecture and one 2 hour tutorial. Students’ study load usually four courses per trimester, but three courses can still be considered full time for student visa purposes. At Eynesbury, we maintain very small class sizes, which gives students a real opportunity to be involved, ask questions and be interactive in class. Small class sizes also allow us to focus on practical teaching, group work and class discussions. Students from across the world get to know each other and make international friends. Outside of the classrooms, teachers’ timetables are available on their office door for students to drop in, make an appointment or seek extra assistance. Our teaching staff, who are specialists in their field, get to know each individual student, and are available for academic support outside of the classroom. The Eynesbury High School Mentor Program is focussed on student wellbeing and sessions are run every Monday. When are the intake dates for each program? Eynesbury have regular intakes throughout the year which lead into both the February and July university semesters. Students can join our High School program in January or July (except Year 12; students must start in January). Our Foundation Studies Programs start in January, April and October; the unique April intake allows FSP students to have their program complete in time to commence university the following February. Our Diploma programs also run on a trimester basis, with classes commencing in February, June and October. We have our own exclusive student accommodation called Homeaway. There are three residences located between 1.5 and 3km from the campus, including a dedicated, purpose built facility for students under the age of 18. We take extra care of our younger students, including welfare support and monitoring. Regardless of which Homeaway residence students live, our chef cooks delicious meals for all students, and all rooms are fully furnished with a fridge and air conditioner. Is Adelaide a safe and affordable city to live in? What sort of lifestyle can I expect? Adelaide is consistently ranked as the fifth most liveable city in the world by the Economist Intelligence Unit (EIU) and in 2016 the EIU’s worldwide cost of living survey reported Adelaide as one of the most affordable cities in Australia, and as having a lower cost of living than Sydney, Melbourne or Brisbane. Adelaide is one of Australia’s most affordable cities; costing 19% less to live compared to Sydney and Melbourne, and around 7% less than Brisbane and Perth. This low cost of living means that students get more value for money, and are able to see and do more around the city and the rest of South Australia (Study Adelaide). The Suncorp Bank Family Friendly Index (2012) found Adelaide is Australia’s safest city, with the lowest levels of crime. In 2014 the Mercer Global Financial list of the world’s cleanest cities ranked Adelaide as the second cleanest city in the world! Adelaide is a very multi-cultural city – the last Australian census showed over 20% of South Australia’s population were born overseas and around 25% can speak a language other than English. Adelaide is known as Australia’s events city and is alive with over 400 festivals and events every year, international students in Adelaide have access to Study Adelaide’s outstanding onshore student engagement program which runs free or heavily discounted events. There’s plenty of shopping, restaurants and entertainment all close at hand, and it’s really easy to get around in Adelaide, the 20 minute city. The public transport is excellent; buses and trams that run for free within the CBD, and half price tickets for international students travelling outside of the city.